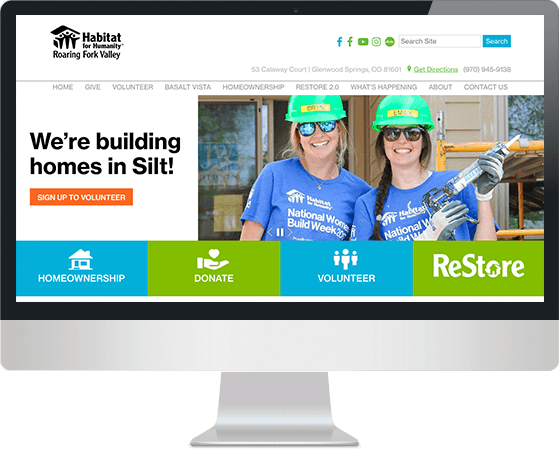 Habitat ReStore and Habitat for Humanity Roaring Fork Valley recently built a state of the art, expansive store to house all the donations from across the valley and beyond. 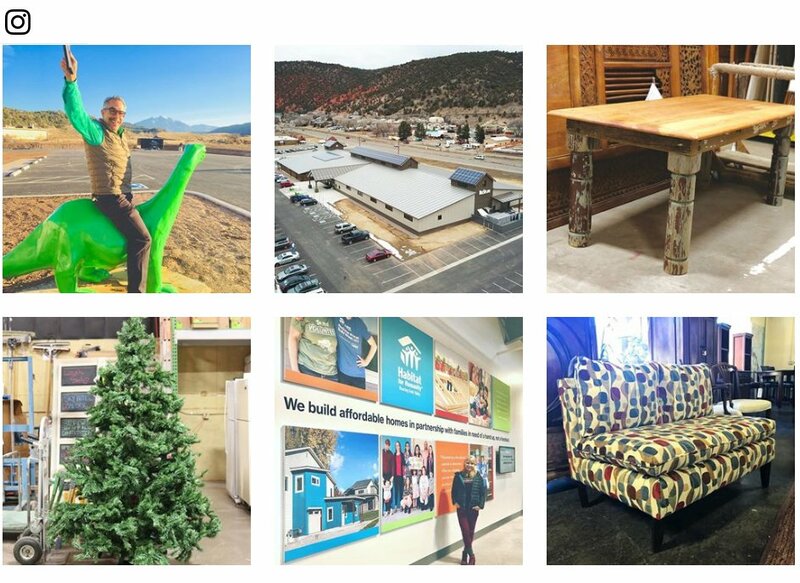 While the Roaring Fork Valley is home to some of the world’s wealthiest people, this Habitat and its non-profit retail operation (ReStore), are two of the most successful in the nation. The new facility is the size of a football field and is home to over 50 employees and hundreds of thousands worth of donations from across the region. The goals of our comprehensive digital marketing program include increasing foot traffic, improving knowledge of inventory, awareness of volunteer opportunities and more. 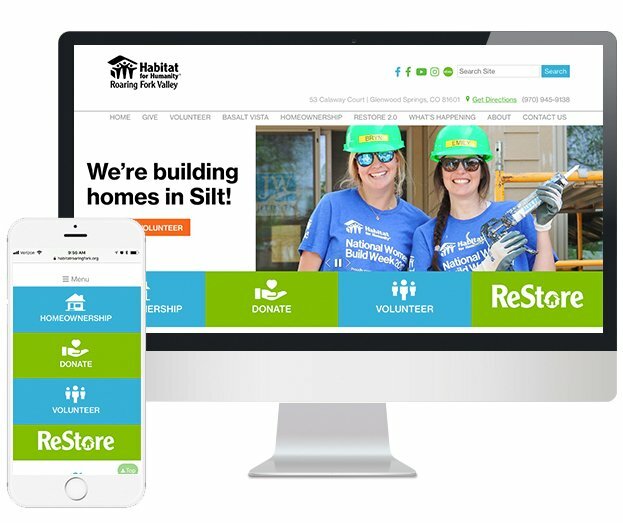 We were lucky enough to build a website to match the passion of our local Habitat and ReStore. With branding standards preset, we were able to craft a custom website that is at once on-brand, engaging, and highly impactful; it's easy to navigate and generates donations, volunteer sign-ups, and ReStore foot traffic. 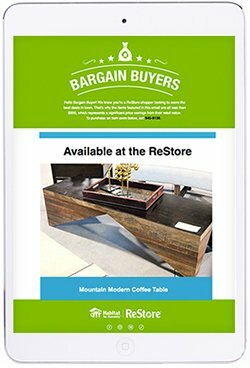 Email marketing ensures that those on the email list see the latest and greatest donated pieces and have first dibs. Keeping in mind the local economy, we craft two emails, twice monthly, that showcase great deals and high-value specialty items, resulting in quick sales and an increase in website traffic and foot traffic. Social media marketing ensures direct access to engaged and interested prospective customers as well as consistently promoting Habitat for Humanity and the ReStore variety of offerings with on-point branding and with the intention to generate clicks, purchases, and donations. 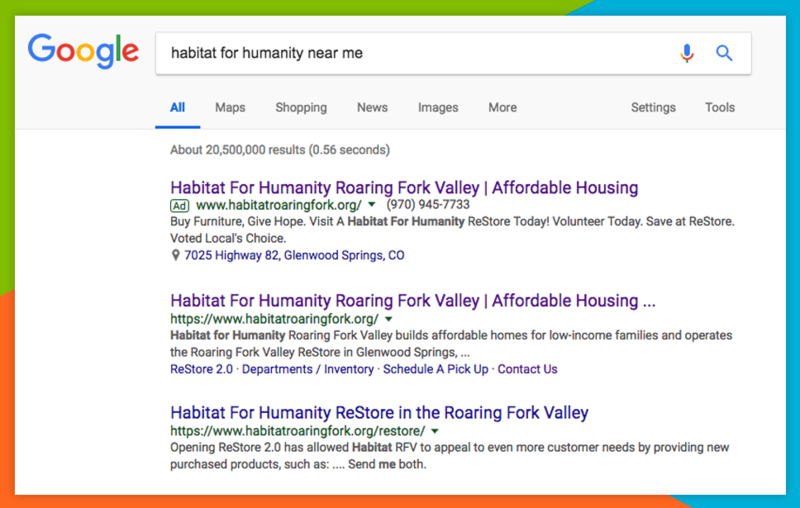 To support Habitat’s efforts, we helped them gain a Google Grant award offering free Google AdWords each month. We dedicate a lot of time and energy to continuing to optimize the campaign, roll out new features, and aggressively improve traffic volume and quality.